A man narrowly avoided being crushed by falling bricks from a collapsing building during the weekend's strong winds. 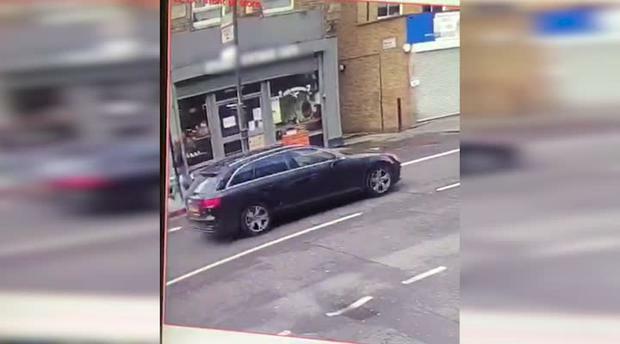 CCTV footage shows the pedestrian's lucky escape as he walks down Stoke Newington High Street, east London, just seconds before the rubble smashed to the pavement. London Fire Brigade said they attended the scene at around 10am on Sunday morning after reports of bricks falling from height. They said no-one was injured when the brick wall collapsed. A cordon was put in place. Gales of up to 65mph swept through southern parts of England on Sunday, with police forces reporting they had been called to a number of fallen trees. The Met Office has issued two further yellow weather warnings for wind, with the wild weather expected to continue further into the week. Jemma Crew Climate change protesters who have stopped traffic in a series of peaceful demonstrations across London will “pause” their rebellion in a bid to achieve their political aims. James Cook Britain's surveillance agency GCHQ has warned people to stop using 100,000 common passwords for their online accounts because it said the most common words were being shared on the internet by hackers.